We're already halfway through July. Ridiculous. How? When? I only have 16 days left of my 20s?!? I really don't understand how time works anymore. July doesn't just mean birthday month for me -- it's also is Plastic Free July. What's Plastic Free July you ask? It's an awareness campaign that challenges participants to refuse single-use plastics for the entire month of July. The idea started in 2011 in Perth, Australia but there are now over 2 million participants from all over the world! The aim of the challenge is to call attention to just how much plastic we consume in our day to day lives, promote behavioral changes that reduces plastic consumption and support people as they live a lower impact life. I know that was a lot of disheartening information to read and it might have even made you angry, either with me for shoving it in your face or with the world for letting our planet get into such a sorry state. Whatever emotions you might have felt, I'd like you to consider harnessing them into some kind of action. If your instinct was disbelief, thinking that those facts couldn't possibly be true, line up a documentary watch party. If your heart went out to all the animals that starve due to plastic, go out and do a little trash pickup in your area. 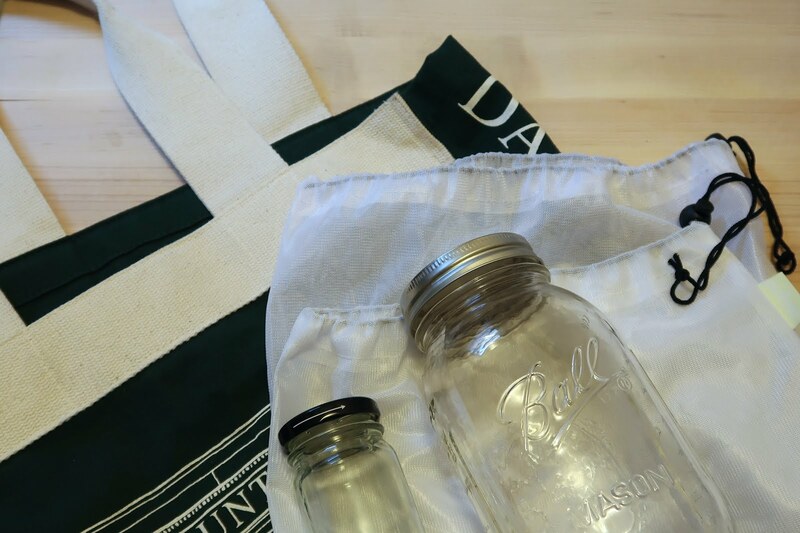 If you were floored by the number of bags we're using a second, go prep yourself a little plastic-free shopping kit. Any approach you can think of will literally make this world a better place than it currently is. 1) You're probably already using reusable shopping totes thanks to the discount for bringing them in many stores or even the up-charge or complete ban in others. Go a step further and swap the plastic produce bags for some reusable cloth bags like these. 2) Next time you need to stock up for self-care Sunday, ditch your plastic shampoos, conditioners and soaps and grab some plastic-free packaged bar soaps instead. They last so long, work just as well and you now officially have a reason to go make a Lush haul. 3) Create and bring your own plastic-free supply kit with you wherever you go. A reusable water bottle, cutlery, a container for leftovers from restaurants, and maybe even a reusable coffee cup if you're a coffee addict like me should help you reduce a lot of incidental plastic in your day to day life. 4) A lot of plastic comes from food packaging. Shop the bulk section, which so many regular grocery stores have these days. In my area, Fresh Thyme and Super Saver (locally-owned chain) both have really great selection and cheap prices. If you need something from the deli you can ask them to put whatever you're buying into your own container. Finally, try to buy loose produce instead of plastic wrapped produce. 5) Make what you can. 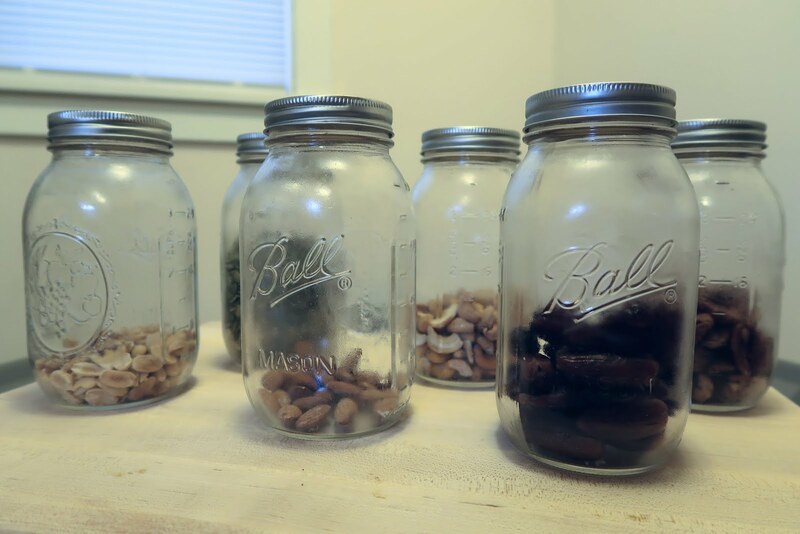 You don't need to go all in right away, but figure out what you use a lot of that you can't find without plastic packaging and scour the internet for DIY varieties. There are so many easy recipes out there for anything from bread to nut milks to face masks and making them can be a really fun alternative to sitting in front of the TV for yet another night. 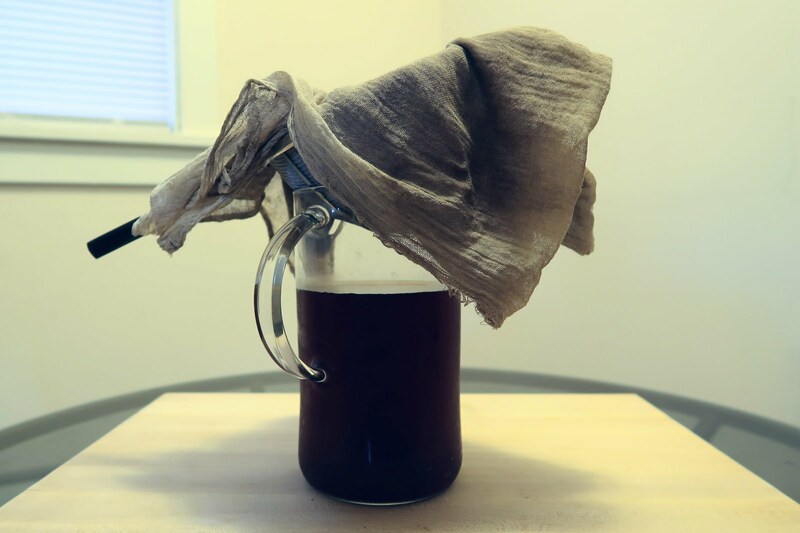 I love making my own cold brew coffee from locally-roasted whole beans that I buy loose from a local coffee shop, strained with a cheesecloth (which is also great for making nut milks). Lip scrubs are also super easy to make using honey and sugar. And finally, if all else fails, please recycle! No one is a perfect, plastic-free human. In reality, just focusing on reduction is probably more realistic than complete elimination, especially at first. So while you're still a plastic consumer, let's move the needle on that 5% recycling rate. At the very least you're helping prevent more plastic from being made. What changes are you going to tackle first to reduce your plastic consumption?